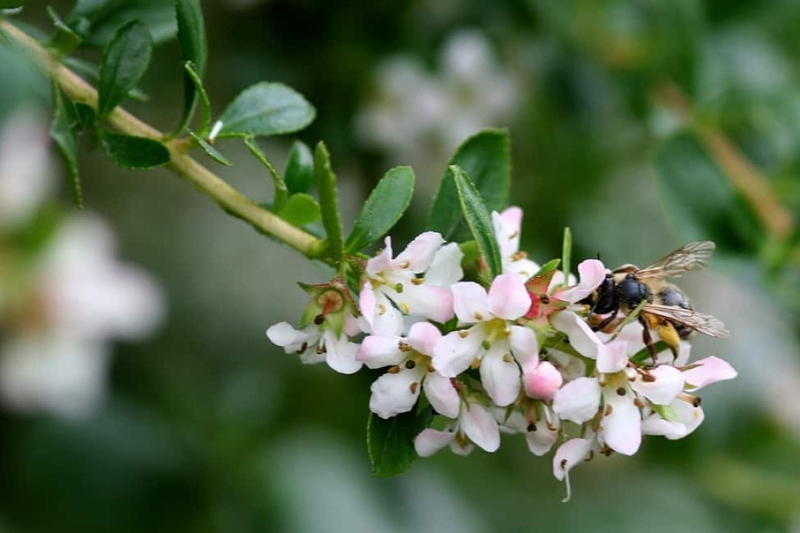 Escallonia (Escallonia): growing, planting, caring. Escalonia is a flowering evergreen shrub that comes from the South American littoral regions. The glazed foliage of the Escallonias makes them popular among gardeners, and so does their resistance to tough weather. This shrub measures between 50 cm and 5 meters depending on the species. It is suitable for areas where temperatures do not fall below -10 ° C, otherwise it will regrow from the stump each year. It is very suitable for dry and drained ground, in full sun. You will appreciate its pink or red flowers arranged in panicles or in terminal clusters. Escallonias are evergreen shrubs, with an alternate, sometimes verticillate foliage. They are generally 2 to 3 meters high and as wide, but there are dwarf cultivars. The leaves are glazed, dark green, oval. They carry flowers with five petals white or pink, very open cup-shaped, grouped in panicles or clusters. Plant from late autumn to early spring, in the sun, in drained or dry soil. Make a hole twice as large as the root ball, without mixing the layers of soil - you will put them back in order at planting. Put back some of the bottom soil, and place your Escallonia at the right depth. Do not bury the base of the stems, replace the soil and tamp well around the roots. Add some mature compost at the end of the planting. Form a shallow hollow and water until the water no longer flows visibly, then mulch around the foot. Water thoroughly for the first few weeks after planting! The trimming of the Escallonia is simple and takes place in March. Slightly trim the ends of the twigs and the lower branches that go too much outward, and that's it.